Are you exploring alternatives to traditional wood fencing? Then vinyl fences could be the answer for you. But first, consider their advantages and disadvantages. They offer low maintenance: you will never have to worry about painting or staining again. They do not splinter, making them a child-friendly alternative. Up close, a vinyl fence is a vinyl fence, any resemblance to wood from afar notwithstanding. For the true lover of the look, smell, and feel of wood, no substitute will do. Another drawback is the price. Vinyl fences are more expensive than their wooden counterparts regarding upfront cost. However, you may save money in the long run, after maintenance costs for wood are considered. A final con to mention is the build-up of algae, mold, and mildew, which cause unsightly staining. Reader, Joanne reminded me of that final disadvantage. 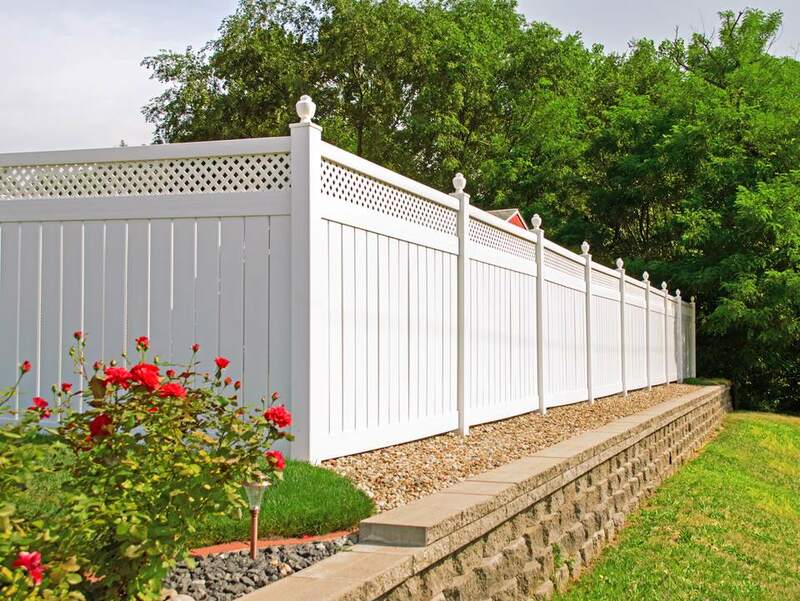 She says that her neighbor installed a white PVC vinyl fence for privacy along with their property line. "Within a year," reports Joanne, "the north side which faces my front door (my home is sideways on my lot) had green and black stains all over it. It is a mess now" (see picture above). The good news is that it is not difficult to clean off such staining on a vinyl fence, although it is, indeed, bothersome. Just bring out a soft cloth, a pail of warm water, a bottle of dish-washing liquid, and a garden hose. Hose down your fencing to remove the majority of the stains. To clean off the rest, squeeze some of the dish-washing liquid into the pail and mix it into the water. Then dip your cloth into the pail, and proceed to scrub the fencing down. Finish by rinsing off your PVC vinyl fence with the hose.